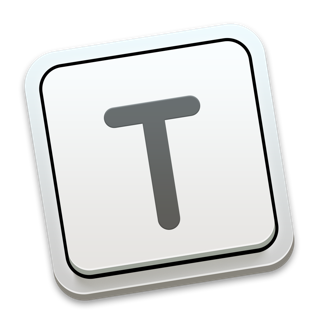 Textastic is a fast and versatile text, code and markup editor. It supports syntax highlighting of more than 80 programming and markup languages. Connect to FTP, SFTP, SSH and WebDAV servers or to your Dropbox or Google Drive account. Use the built-in WebDAV server to easily transfer files from your Mac or PC over Wi-Fi. • You can now open multiple files in tabs. • New syntax highlighter with much better support for modern features in almost all supported programming and markup languages. • You can now sort file lists by name, extension, date, and size. • Use the new fuzzy search for files to find and open a file by typing characters that are in the name of the file or path. Don't hesitate to tell me the features you want to see in the next version! - Sometimes the folder hierarchy from the last session was not restored properly on app launch. - When uploading a hierarchy of folders from an external directory (for example opened from Working Copy) to a remote server, only files in the top-level directory where correctly linked to the remote connection. - The keyboard shortcut Ctrl-W did not work in terminal connections. If you like Textastic, it would be amazing if you could leave a positive rating or review on the App Store! Wow! Now with SSH terminal emulator!! What a fantastic update! Textastic already blew my socks off long ago, and I honestly couldn’t have asked for more. But with the ability to get to a command window on hosts in the same app is really a dream come true. No more editing, switching over to another app to restart a service or check a log file, then switching back to edit, only to find when I need to get back to the console, the other app has disconnected. The SSH shell is rock solid too. When I saw the feature in the update notes, honestly, I didn’t expect much. My experience with iOS terminal emulators in general has been so-so. This one beats them all hands down! Granted I haven’t put it to hard use yet, but so far, it’s by far my favorite. Fantastic job! Thanks so much! Great editor. Even greater Xcode alternative for playgrounds. I remember using Textastic before this newer universal app came out, and I fell in love with how amazing the app was. I’ve been using the new version for a while now, and. I am extremely impressed with just how capable this little editor is. It even opens and edits Swift Playground Books, meaning that I can safely and happily cut Xcode out of the Swift Playground book equation. Overall impressed and can’t wait to see what’s in store!